California Rat Terrier Rescue View other Rat Terriers for adoption. Omni is a wonderful little lovebug. As soon as you pick her up her tail goes nonstop. She was rescued with her two sisters. All three girls have hernias that had to be repaired during their spay surgery. Her adoption fee includes being spay, hernia surgery, treatment for fleas and worms, ans nanochip. Omni also had surgery to remove a cherry eye. 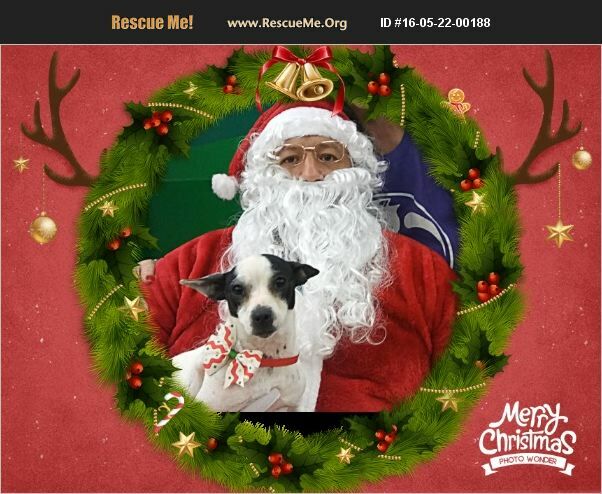 Omni saw Santa and all she asked for was a home for Christmas! Omni needs a home with other dogs where she will be totally pampered.